The Day the Sun Stood Still? Chuck, you ve got to be kidding! That's often the reaction by some to the idea that we take the Long Day of Joshua seriously. It deals with the background to Israel's claim to the land, which is presently being contested by the current Peace Process. It may come as a surprise that the name Joshua, in Hebrew, is essentially equivalent to our Lord's name in Anglicized Greek: Jesus. That was designed to get our attention. Furthermore, as a military commander, Joshua's actions at Jericho strangely parallel the events in the Book of Revelation: he first sends in two witnesses, he defeats the enemy with seven trumpets, and he seems to ignore the numerous ordinances in the Torah. Where was the most dangerous spot in Jericho? On the walls! Think about it. Where was the safest place in Jericho? In Rahab s house. Where was Rahab's house? On the wall. Rahab subsequently emerges in the genealogy of the Son of God8--which is a study in itself. Also, just prior to the Jordan returning to its regular flow, Joshua sets up 12 stones in the middle of the Jordan, which will then be covered with the waters.10 Strange. The first issue is, who has the initiative? Remember, it was God who declared war on Satan.13 When Christ first announced the church, He pointed out that the gates of hell shall not prevail against it.14 It is the church which has the initiative! That's you and I, isn't it? What does "Crossing the Jordan" signify spiritually? Going to heaven? Hardly. There are enemies there. Warfare. Setbacks. The ingredients of success and failure in their adventures are detailed for our own instruction to gain victory instead of defeat. As the nations of the world line up to challenge Israel's rights to the land that God covenanted to them, another Yehoshua is getting ready to give them the surprise of their lives! He, too, is preparing to dispossess the land in fact, the entire Planet Earth of the Usurper and his followers! 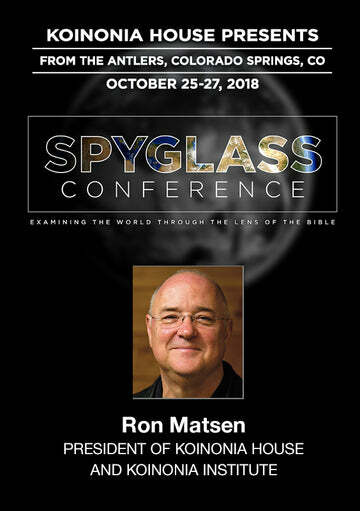 As we sit back and watch the emergence of a European Superstate, the rebuilding of Babylon, the positioning of Magog and the Muslim allies to attack Israel, and the Vatican positioning to lead a worldwide ecumenical movement and to internationalize the Temple Mount in Jerusalem we realize that the stage is being set for the big climax. It's time to do our homework! It's time to diligently find out what God has said about these things. They are to keep silent not shout until the seventh time on the seventh day. Cf. Revelation 8:1. See our audio book The Romance of Redemption, a study of the Book of Ruth. At Bethabara, the House of Passage, John 1:28. The ram's horn, not the silver trumpets of the Temple. These are also explored in our audio book Signs in the Heavens. February 1996 Personal Update News Journal.